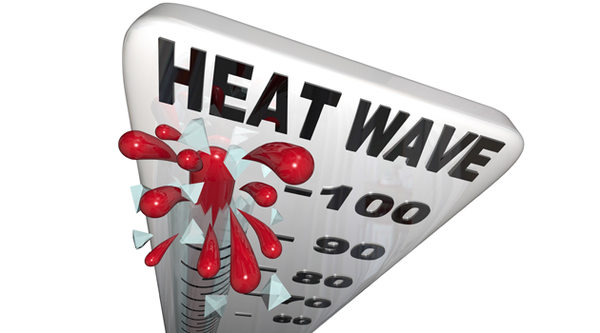 This occurs when the body’s normal cooling mechanisms become overwhelmed by the combination of heat and dehydration. This allows for the body temperature to rise dramatically. Fevers of 105oF or higher may occur. The most common symptoms are the combination of a warm body with flushed skin and an impressive lack of perspiration. A child who is hot but with dry skin is a concerning one. Other symptoms include feeling faint, nausea, fast breathing, and abdominal pain. The nausea may overshadow the thirst mechanism, so it is not uncommon for children with heat stroke to not be terribly thirsty. Prevention is really the key, which means having plenty of fluids to drink before going outside and while playing. Drinking liquids should be plentiful enough that the child experiences little, if any, thirst. However, when heat exhaustion does occur, remove the child from the sun, take his clothes off, and place him in a cool bath. Do not make it cold as this will cause shivering and actually increase the temperature. Encourage fluid intake. If the child has truly had a significant increase in body temperature due to the heat, the doctor should evaluate him after being cooled at home. Heat stroke can be a life-threatening emergency, so if there is any question in your mind about whether this has occurred, call your doctor.